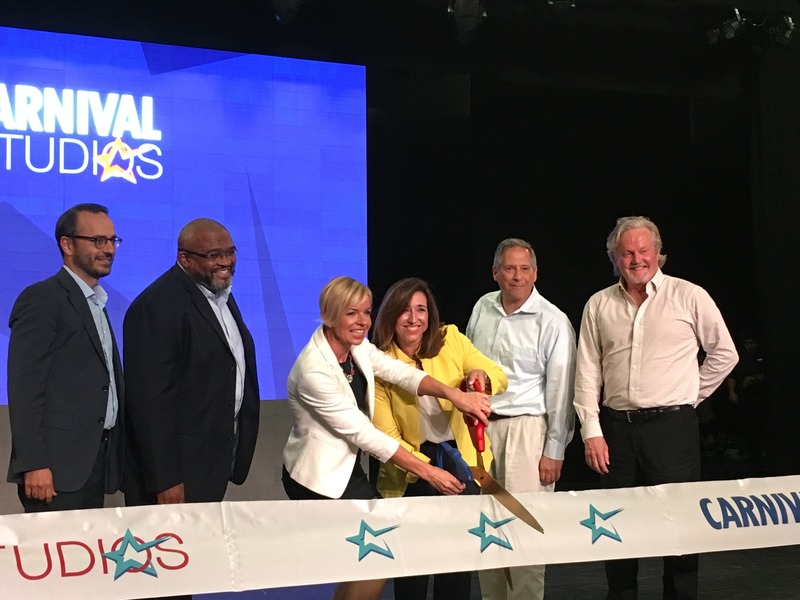 At an official ribbon-cutting ceremony last night, Carnival Cruise Line unveiled “Carnival Studios,” its new $5 million state-of-the-art 44,500-square-foot rehearsal facility. 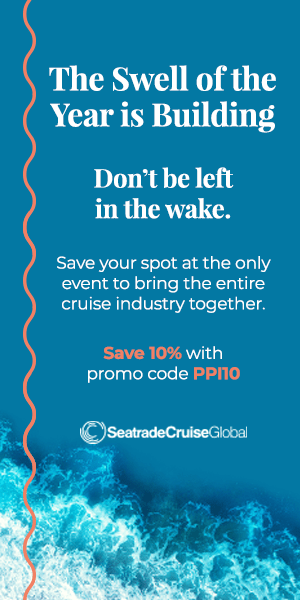 Located in Davie, Florida, not far from the company’s Doral headquarters in Miami, the facility will host more than 500 entertainers and performers twice a year who will come for intensive training before heading out to sea with the audience-ready acts. Three years in development, Carnival Studios now brings entire bands, casts, and technical teams from every ship together to rehearse shoreside under one roof. Prior to the studio, casts were limited to rehearsing aboard ships, which displaced 8,500 cabin days per year, resulting in a huge amount of lost revenue for the company. 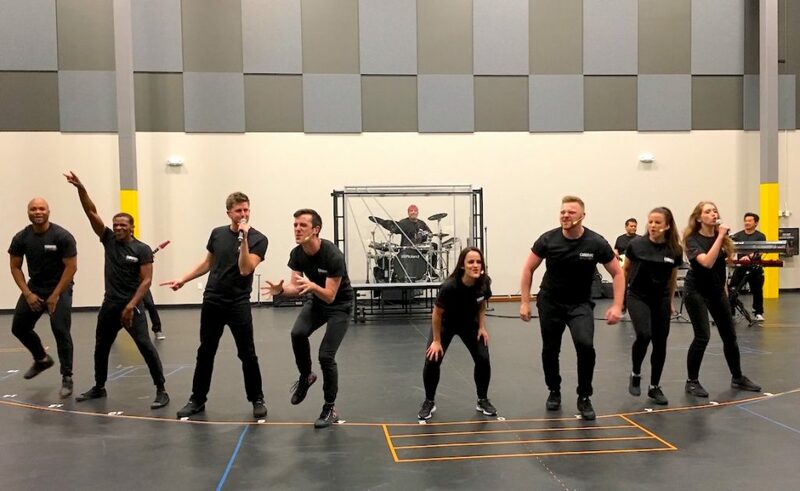 The casts were also faced with the challenge of limited rehearsal times (they could only utilize the stage while it wasn’t in use for regularly scheduled performances) and other onboard constraints. 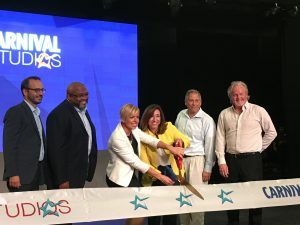 Christine Duffy, president of Carnival, who was new to the company at the time she was first approached to approve the project, said she was trying to figure out, “How was Carnival doing what we do on the ships with the entertainment team without a rehearsal studio?” She added that the new facility will allow the line to take its entertainment to new heights. The expansive rehearsal facility encompasses eight dedicated music studios; five full-stage dance studios, including one that boasts a massive 480-square-foot LED screen, which is an integral part of the line’s high-tech Playlist Productions shows; a training room, a green room, and offices for members of the line’s entertainment department. Designed as a creative hub, every space within Carnival Studios has been outfitted with the latest digital sound, lighting, and recording technology. 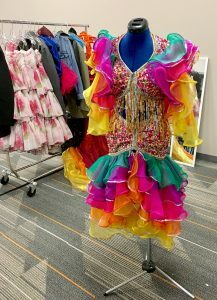 Every main theater stage within the Carnival fleet has been replicated within five full-scale studios. 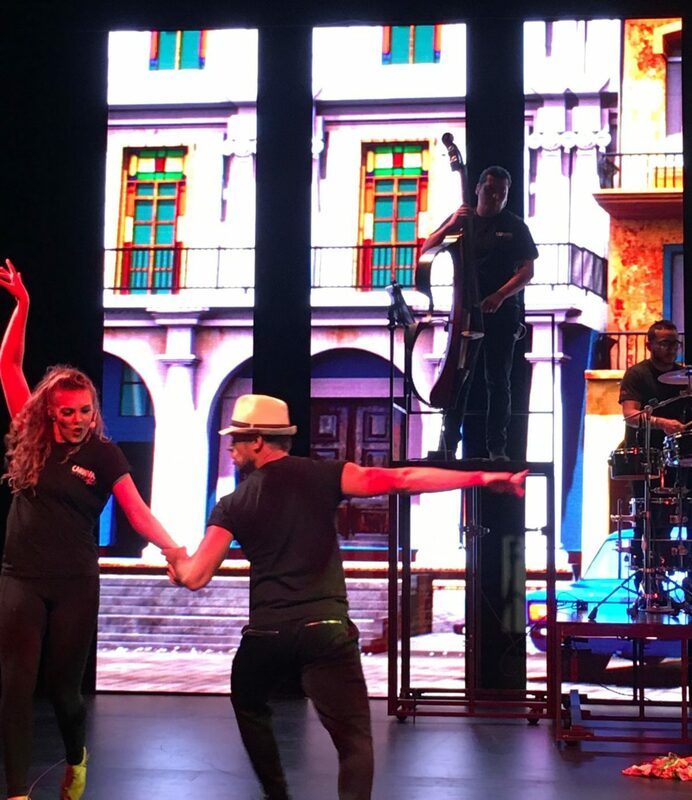 John Guglielmetti, Carnival’s casting and booking manager, is tasked with recruiting the talent from all over the world, from the United States and Canada to Australia. “We look for the ‘triple threat’ performer,” he said, meaning someone who can sing, dance, and act — plus has the personality to go along with what’s required in such an intensive role. 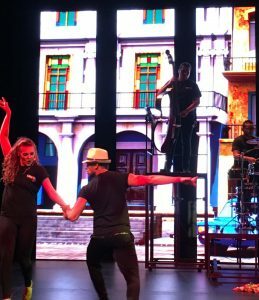 “We designed the space to encourage interaction and engagement between everyone who works on our shows — from cast members and musicians to technicians and backstage crew,” said Chris Nelson, Carnival’s senior director of entertainment. “It is in these sometimes-intentional and sometimes-impromptu collaborations that the strongest ideas take shape, inspiring synergy and building relationships that last a lifetime,” he added.